Ephesians; 1:4 – Election of church age believer, part 46. The elected priest. ISA 28:9 "To whom would He teach knowledge? Learning comes only from the daily grind in God’s word. 1401: King of England declares possession of a Bible in English is worthy of death. In the history of the Bible, we find in the Middle Ages that the Catholic church forbade people to read the Bible. 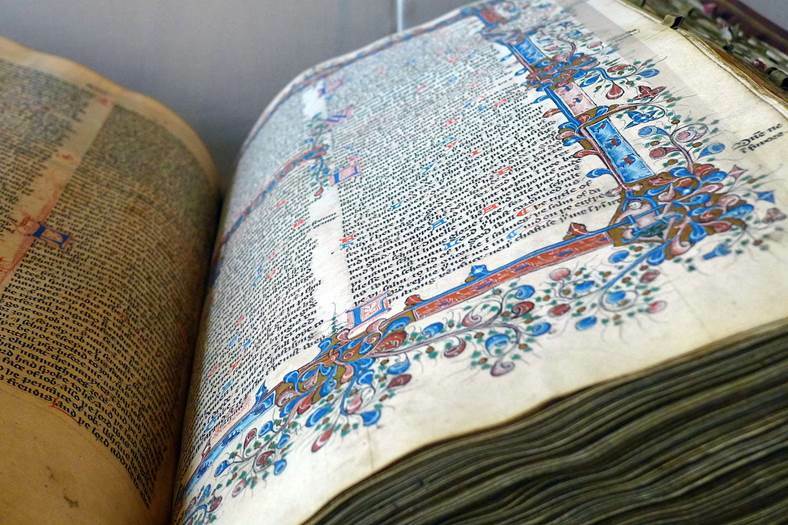 In 1401, a law was passed by the king of England to the effect that anyone who possessed the Bible in English, which was now available to them thanks to the work of John Wycliff in 1382, should be put to death. This law was active until Henry VIII severed ties with Rome in the 1530s. Queen Mary, Bloody Mary, enacted similar prohibitions on the Bible in English in 1555. The first question ever asked by in inquisitor of a ‘heretic’ was whether he knew any part of the Bible in his own tongue. 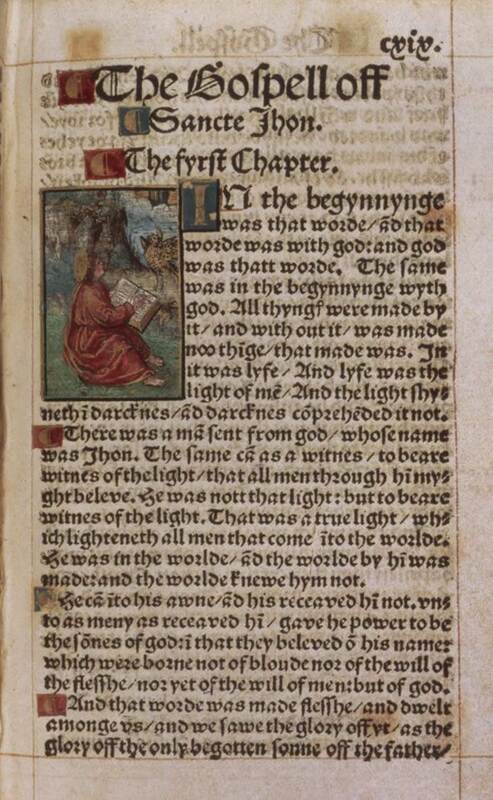 William Tyndale was the first to translated to English directly from Greek. He was condemned as a heretic and executed by strangulation, and burned. But of the 3,000 copies of his 1526 New Testament, only 3 survived. His work comprises 80-90 percent of the 1611 King James’ New Testament. Council of Trent 1550’s, upheld by Vatican I and II (1870; 1965): no one interprets Scripture, apocrypha is legit, unwritten traditions held by Rome. The following decisions were made at the Council of Trent (1545-1563) concerning the word of God, and were unreservedly upheld by Vatican I (1869-1870) and Vatican II (1962-1965). 1) Apart from the doctors of the church, no one was allowed to interpret the Scriptures. 2) The apocryphal books were accepted as canonical, along with the Old and New Testaments. 3) The unwritten traditions were believed to have been received by the apostles from the mouth of Christ under the inspiration of the Holy Spirit and entrusted to the guardship of the Roman Catholic Church. The Council of Trent was the Catholic Church’s answer to the reformation. People being able to read the Bible for themselves was the greatest threat to Roman Catholic supremacy. EPH 3:3 that by revelation there was made known to me the mystery, as I wrote before in brief. The pastor has the gift of time so that you can learn in an hour what might take several hours to compile. He doesn’t have a philosopher’s stone in his head that enables him to see what no one else can. I have been literally told by a Christian that he cannot read the Bible for himself and that’s what I was for. The conclusion is that you don’t want to read it or you’re too lazy to. To imagine that we have fought and won against a powerful organization calling themselves the only church, who made it a capital crime to read the Bible in the local tongue, and then have gone and done the same thing at the behest of pulpits that are arrogant and perhaps scared of scrutiny and/or losing members, is tragically foolish. Around 1540, protestant archbishop Thomas Cranmer wrote a two-part homily titled A fruitful Exhortation to the Reading and Knowledge of Holy Scripture. Cranmer was a leader of the English Reformation and he advocated that all in England read the Bible for themselves. PHI 1:11 having been filled with the fruit of righteousness which comes through Jesus Christ, to the glory and praise of God. Appreciation the difficulties some would encounter with the more challenging passages, he gently encouraged the weak and ignorant to take the following godly counsel. Bibles were still expensive in Europe in the 1500’s. In England, a copy of Tyndale’s pocket New Testament cost 3 shillings, which was approximately two week’s wages for a common laborer. The people of England would gather together and the Tyndale NT would be read out loud. It is recorded that even the illiterate in England committed whole chapters of the Bible to memory by listening to them being read over and over again. It would be hard for us to imagine growing up in a world where your church service was conducted in Latin and the scripture was read in Latin, of which hardly anyone had any knowledge, and then one day you walk into church and everything is in English. Men like Wycliff and Tyndale, and many more, gave their lives to make that happen. ISA 28:9 "To whom would He teach knowledge? And to whom would He interpret the message? Those just weaned from milk? Those just taken from the breast? ISA 28:10 "For He says, 'Order on order, order on order [command upon command], Line on line, line on line [verses upon verses], A little here, a little there [many writers].'" It is perfectly placed right here in this prophecy, that since Israel wouldn’t learn in their own tongue and during peace-time, that God would now teach them in a foreign tongue and with war. Gentile tongues would teach Israel in war what God tried to teach them in their own tongue during peace-time. At Pentecost, Jews would speak the gospel in Gentile tongues. The Assyrians and Babylonians would teach Israel and Judah the truth in war and oppression that God taught them in peace-time. These foreign nations spoke foreign tongues. This very thing would be repeated at Pentecost, where Peter would quote this verse. Jews would communicate the gospel of the risen Savior who had died for His people in the tongues of Gentiles. ACT 2:4 And they were all filled with the Holy Spirit and began to speak with other tongues, as the Spirit was giving them utterance. ACT 2:5 Now there were Jews living in Jerusalem, devout men, from every nation under heaven. ACT 2:6 And when this sound occurred, the multitude came together, and were bewildered, because they were each one hearing them speak in his own language. ACT 2:7 And they were amazed and marveled, saying, "Why, are not all these who are speaking Galileans? ACT 2:8 "And how is it that we each hear them in our own language to which we were born? ACT 2:11 Cretans and Arabs — we hear them in our own tongues speaking of the mighty deeds of God." ACT 2:12 And they all continued in amazement and great perplexity, saying to one another, "What does this mean?" ACT 2:13 But others were mocking and saying, "They are full of sweet wine." The Corinthians were blessed to have many members with the gift of tongues. In his letter (1Co 14), Paul instructed them how to use it properly and made clear that the gift was in known languages. 1CO 14:20 Brethren, do not be children in your thinking; yet in evil be babes, but in your thinking be mature. 1CO 14:21 In the Law it is written, "By men of strange tongues and by the lips of strangers I will speak to this people, and even so they will not listen to Me," says the Lord. 1CO 14:22 So then tongues are for a sign, not to those who believe, but to unbelievers; but prophecy is for a sign, not to unbelievers, but to those who believe. In our day, the uttering of unmeaning gibberish is as far from this as it gets. It betrays the ignorance and pride of those who claim it is a meaningful gift from the Holy Spirit.